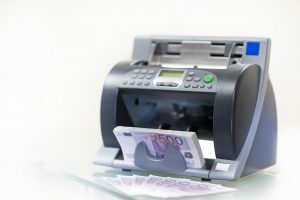 As an interested buyer of the mixed bill money counter machine, there are some things that you need to look for in these machines. There are key features that you need to look for in a machine before you can place an order. What is important for buyers to note is that there are the many different types of these money counters in the market. However, each model is designed to meet specific needs in the market. That is why one should watch out what they are buying. Among the key features that people need to look for is updating the features of the mixed bill money counter machine. That is because the modern machines are software run and hence you simply enhance their performance by updating the software. That is why the ease of updating the machine is one of the key features that should be looking at. To make it easy for users, most mixed bill money counter machine factories such as Pingyang Feelteck have their machines updatable by a USB port. Therefore, you can easily download the Software from the USB to update the machine. That is pretty simple and means that users can easily update the machine with ease. Among the many reasons why you need to consider the updating features of the mixed bill money counter machine is ease of use. You don’t want to have the kind of machine that will need a lot of technical knowledge to do even the most basic thing in updating it. That is why you need to consider the kind of machine that offers the most user-friendly features in this. All the reputable brands are moving to USB enabled updating features. However, you also need to check the steps that have been laid out for the updating to be successful. Another big reason why the updating feature of mixed bill money counter machine is the cost of maintenance. Updating the system is part of the maintenance and may require that you pay for the service if you don’t have the skills. Considering that the money counter may need frequent updating to keep it in the best condition, then it can cost the business a lot. Therefore, you need to have a machine that is designed for ease of updating, and you will significantly reduce the cost of maintaining it. These are just some of the key reasons why you need to consider the updating features of the machine before ordering one. The machine should make it easy and cheaper to run the business.